Today’s excerpt is a little special. 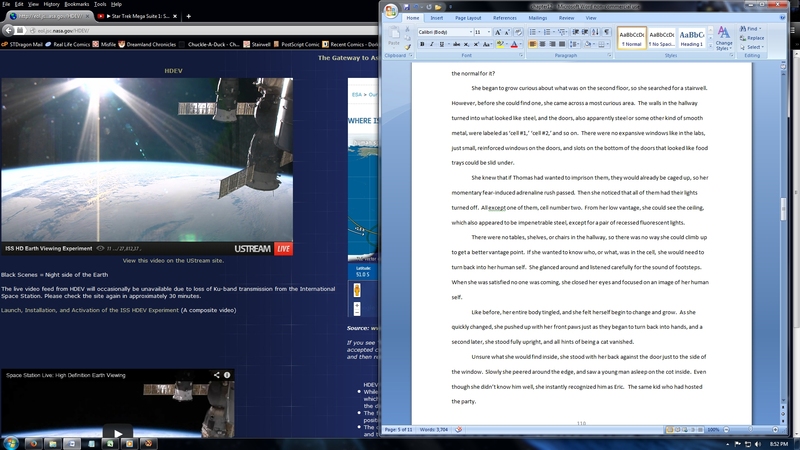 As I’ve been going through my latest revision before sending 30 pages to Ms. Diver, I’ve started running the NASA HDEV in the background, to give myself a great view while reading. Illness is such a damper on the writing goals! But soldier on we must. Heheh, Emmi definitely has the fun powers!